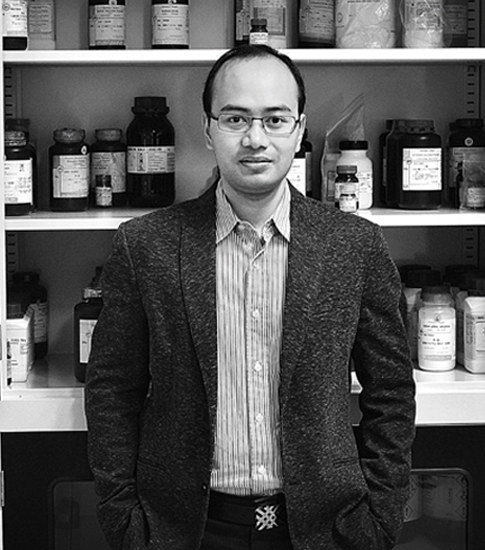 Dr. Brotosudarmo is interested in the field of photosynthesis with focus on two topics, i.e. (1) structure and function of photosynthetic pigments and apparatus, and (2) developing spectroscopy and imaging methods for in vivo pigments analysis. Most of his work related to study of marine microorganisms and marine resources, but also open to plant research. Dr. Brotosudarmo has received several awards including the 22nd Toray Science and Technology Award (2016) from Indonesia Toray Foundation-Toray Industries Japan and Fellow of the Indonesia Young Academy of Science (2016). He serves as director of Ma Chung Research Center for Photosynthetic Pigments since 2011. In the year 2014, he succeeded to lead MRCPP to became the first research centre of a private higher education institution that is awarded the certificate of recognition as a National Centre of Excellence by the Ministry of Research, Technology and Higher Education of Indonesia. In the year 2016, he succeeded again to lead the centre to receive accreditation by the National Accreditation Committee for Research and Development Institution, which the certificate was handed directly from the Minister. His success in leading the centre is influenced by his participation in University Leadership and Management Training Course (UNILEAD) and International Deans' Course (IDC), respectively, programmes of Dialogue on Innovative Higher Education Strategies (DIES), DAAD. Recently, he received the Professional Achievement Award, the Study UK Alumni Award 2017 from British Council as a reward of his successful achievements and influence in management and leadership of research centre at a private higher education institution in Indonesia. Dr. Brotosudarmo is teaching at the Department of Chemistry in Universitas Ma Chung, Indonesia and an honourable associate professor at the Faculty of Science, Shizuoka University, Japan. He is currently the President of Indonesia Chemical Society and the Chair of Marie Curie Alumni Association (MCAA) Southeast Asia Chapter.